Food for Thought! : The Orkut Days! I was jumping from one folder to another removing dust from good old files, I created once, now rest in a huge folder called 'Backup'. As I was going through the files I found lot of articles that I wrote but never posted. One article caught my attention. That article brought back sweet memories from the time spent with friends. It also reflects upon how technology is changing each day and how important it is to gauge the changing preferences and be progressive to remain relevant in dynamic competitive environment. "Yaar tera ho gaya kya, meroko bhi net use karna hai. I have some important mails to check...."
"...aarre mein emails check kar raha hooo, aur ek poorana friend online hai yaar...""Achacha thik hai, tera jaroori kaam ho jaye toh bol merko, I will use it then....... Jaldi kar but..."
The first guy who was supposedly doing his jaroori kaam on internet was accessing Orkut and the one who was in queue and wanted to check important mails, also wanted to access Orkut!!! Somebody might have sent him a friends request or he must have received lots of scraps. Oh his display pic has become old. I started orkutting in 2004 for the first time. Initially I thought that it was a crap and didn't make much sense. I created my user account as my sister insisted me to do so. She took all the pains to create my account, told me what to write in 'About me', 'Interests', etc... I thank her now for introducing me this part of the world so early. "How can we use this instead of mails!" was my first reaction, little knowing how that site could actually be used. The term "Social Networking" was alien for me ...back then I was in graduation first year and wasn't found on nets that often. My frequency to access mails was so bad that every time I use to login...I never remembered my passwords and end up creating new email IDs..."Arre yaar koi important mails ayye honge uss ID pe toh!!!..." I use to think. Who the hell would send an email that too important one if I haven't given the address to anyone. Ignorant me! The Orkut phenomenon was little know in my friends circle that time. I use to feel supreme amongst them. Things have changed a lot and THE Orkut has also evolved...a lot... for good, I suppose. Today, before signing in my email account, I and probably all my friends sign in Orkut. Spending lot of time, for what pleasure I really cant explain... Creating 'Communities'. Scrapping on 'Threads' and ensuring that the once I create, remains in lime light. Counting 'Fans' and sharing pictures to get comments. Praying to get 'Testimonials' each time I logged in, after all who doesn't like to read good about themselves. "How would people stay connected with friends earlier? ", I wonder. Today if I don't have Orkut access for a day, or if I get message from server 'No donuts for you', I think "Oh my God! there may be so many updates in my scrapbook! I am missing the action." Hope the phenomenon grows and stay connected with friends as usual..."
This article was written by me in the year 2009 when I was a bachlor staying with friends, in Mumbai. We had only one laptop amongst us. We use to surf internet turn by turn. Orkut was our favorite pass time. 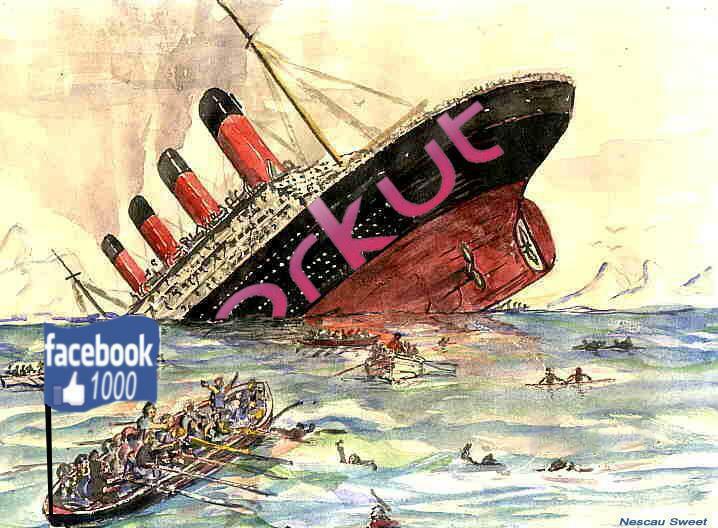 Facebook was yet to take center stage, atleast in India and nobody remotely also thought that Orkut would become history one day. fOoD fOr ThOuGhT: Writing on the wall meant kids scribbling on the wall with crayons. Commenting meant passing comments. Like and share referred to emotions. Social site meant Orkut. Time has changed so much. If you are not progressive and become irrelevant, you have to make way for the newer, better and stronger competitor. May be...if FB doesn't change with changing time, it might be replaced by something more powerful. It would be difficult for technology to keep people hooked up for long at one site/ app in coming years. Orkut is special to me, I met my husband on Orkut after 11 years. We were in the same School. I loved the post and no need to say why!